This session brings together dealers and manufacturers and their combined knowledge to discuss Hot Topics of the flag and flagpole industry. This session is an open discussion of current industry issues which include: Shipping Costs, Increasing Costs of Nylon & Aluminum, Counterfeit (no county of origin) flags sold online, Tariffs, Amazon Sales. and MORE! 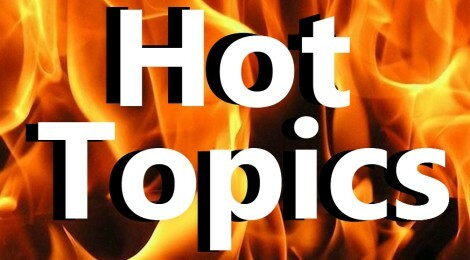 These topics are just a sampling of Hot Topics and we would like to hear what issues you may have in the industry. Share your knowledge and learn from others. You never know how much this may benefit you and your company! 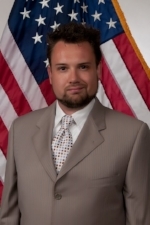 Barry Casey | Owner of Betsy Ross Flag Girl, Inc. Looking to carry a particular product? Need a new or more affordable vendor for a product you already offer? Did you know that your fellow flag dealers are your best option for finding new sources? 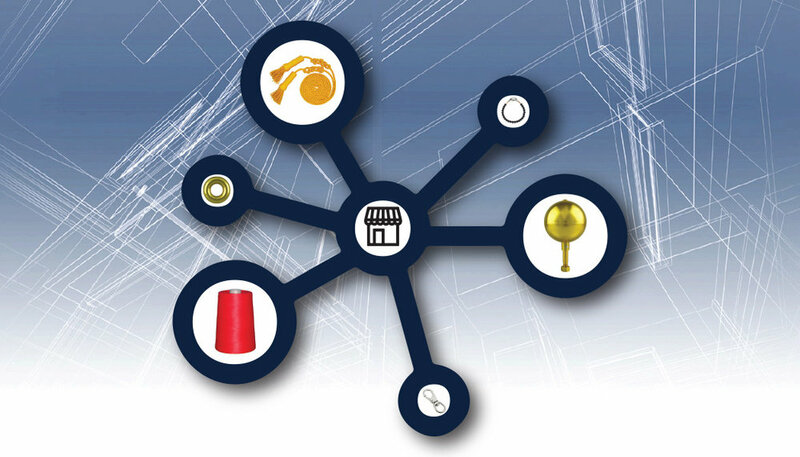 This session brings together all of our dealers and manufacturers and their combined knowledge to discuss new and reliable options for purchasing next to anything your business might need. Sourcing based on experience and recommendation is a far better avenue than randomly trying new companies or endless searches on Google. Come and share your sources and learn from others. You'll never know how much this can benefit you and your company! Call in to participate in the discussion or just listen in for industry updates. Area of Expertise: Plastic flagpole accessories, sales, office administration, working with people, organization. Who do you most admire? My Dad. He was liked by anyone he met. He made you feel important and gave his complete attention. He was patient and had a grand sense of humor! What are your hobbies? I love to cook, bake, garden, read. I enjoy plays and movies. Favorite Charities: Community support services, a local service agency helping children and adults with disabilities and their families. What surprises people about you? My Sense of humor! What is your work philosophy? Every situation is a learning experience. Any advice for new NIFDA Members? Get involved right away! What is the best thing about your job? The people I meet, my customers! Bill Miles, 67, passed away unexpectedly Saturday, January 27, 2018. 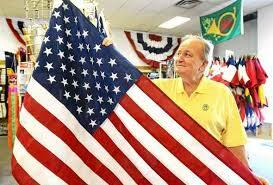 Bill and his wife owned American Flag and Banner in Clawson, Michigan for 41 years. 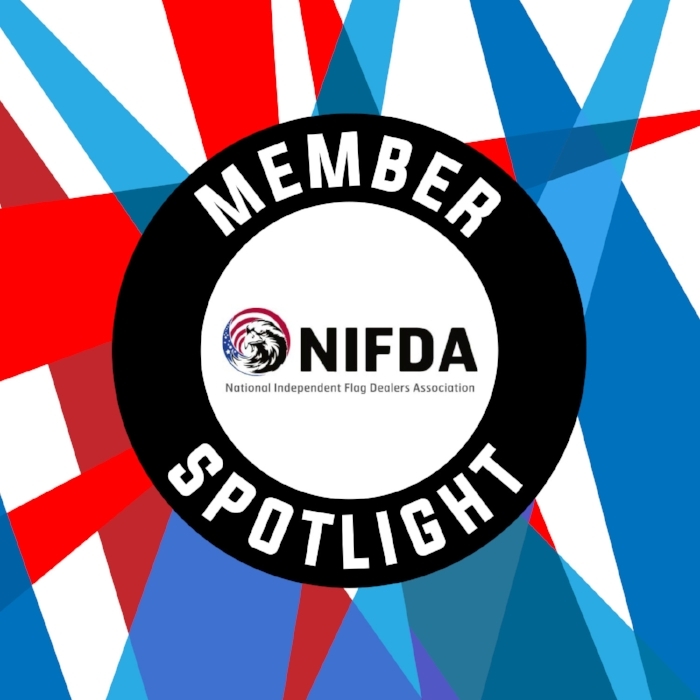 Bill was one of the founding members of NIFDA. He is survived by his wife Jane, his three children Jessica, Matt and Lizz, grandchildren Roan and Kaia, and step grandchildren Braden and Alice, among a host of siblings, nephews, nieces, and friends. His loving presence and wicked sense of humor are already dearly missed. Bill enjoyed a medium-rare steak and a fast game of cards. He was a successful businessman, a talented golfer, and an excellent father. He will be missed forever. A memorial will be held February 17th in Clawson, MI. At every NIFDA conference, we are filled to the brim with knowledge that we can take back to our businesses. This knowledge helps us be inspired. It helps us think outside of the box; it helps us fine-tune our current business practices and improve on everything we do. The knowledge and experience we gain is priceless, but where do we begin to implement what we've learned and use it to better our businesses? There is no definitive correct answer, of course, but one of our new NIFDA members, Laurie Olsen from Stars and Stripes has been able to utilize what she learned at the conference by creating an online blog. But how does this help her business? Firstly, it shows all of her online customers that she is active in her industry and supports several flag programs like the National 911 Flag and the Honor and Remember Flag. Showing interest in your industry helps bring in new customers who are interested in these ideas and ideals, and it enhances your reputability. Secondly, by linking your blog to other industry blogs, such as NIFDA's, you are increasing your reputation among the various search engines that will ultimately help customers find your website or online store. Every link to your site on another's website helps your statistics and analytics when it comes to search engine rankings. This is the best FREE method of gaining a higher rank in web searches. Every time you are mentioned somewhere, you gain online ground. 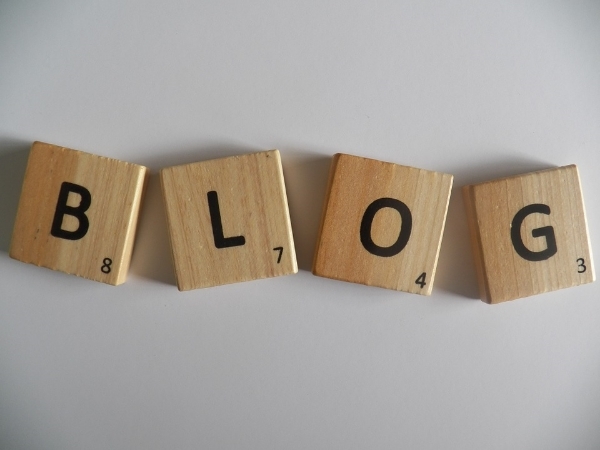 Thirdly, the blog acts as a reminder for what you've learned. When we return from our conference, we are often bombarded with emails, phone calls to return, and work that is waiting for us. Our mind goes from NIFDA-centric to a business-centric focus in a flash, and it's very easy to forget what we've learned, or at least misplace it. By creating a blog, you are in essence creating a journal of what you learned and the experiences you shared with other industry leaders. Remember, knowledge is only valuable if you utilize it. Learning a new idea cannot truly benefit you if it is simply filed away. Take advantage of the education that NIFDA brings. Gilbert Francis Lukosky, "Gibby" to his friends, passed away on April 14, 2015 after losing his battle with Lymphoma cancer. Born in Washington D.C. in 1936, Gibby was the oldest of four children. He was the second generation of Polish immigrants. He met and married his lifelong sweetheart, Valerie Elliotte while bartending in the San Fernando Valley. He made many moves throughout his youth until he found Newport Beach in 1972. It was there that he wanted to live for the rest of his life. The young Lukosky family moved to Newport Shores in 1972 and Gibby has been a mainstay in the community ever since. He is most remembered for his ownership of Nikki's Flag Shop on Old Newport Blvd. In this capacity, he has been one of the main conduits for American Flags, custom banners and yachting flags for people in the harbor area. He was a member of the 6 O'Clockers at the old Balboa Bay Club, The Commodores Club of the Newport Beach Chamber of Commerce, The Exchange Club of Newport Harbor, and The American Legion Post 291. Gibby was a silent force in the workings of our community, knowing people of all ages, backgrounds and professions among Newport Beach residents. He was educated at Notre Dame High School, spent three years in the Air Force, attended junior college, and graduated from the University of Southern California. Gibby is survived by Valerie, his wife of 52 years; his son, Greg and his wife, Suzanne; and his daughter, Christina and her husband, Ryan; plus grandchildren, Emily, Nate, Jake, Riley and Kate; and sisters, Tanya Hendrix and Tina Steere. Kerry McCoy has draped herself in success as the founder and owner of Arkansas Flag and Banner. Her 40 years in the flag-distribution and repair business recently earned her the highest honor in the industry, the Betsy Ross Award, from the Chicago-based National Independent Flag Dealers Association. “I have been on the cutting edge of this stinkin’ industry for the last 20 years,” she said, laughing. McCoy, who will turn 60 this year, talks candidly about her personal life and business struggles. Annual revenue at Arkansas Flag and Banner — more commonly known by its Web domain name, flagandbanner.com — has been stagnant around $3 million for the past five years, Mc-Coy said. What the industry needs is another patriotic event, she said. In the 1970s, flag sales were driven by the nation’s bicentennial; in the 1980s, they were affected by the release of Bruce Springsteen’s iconic tune “Born in the U.S.A.”; in the 1990s, Operation Desert Storm prompted American flag sales; and in the 2000s, flag receipts were bolstered by the tragedy surrounding the 9/11 terrorist at- tacks. “About once a decade — and I’m waiting on this decade — something happens, and patriotism surges,” Mc-Coy said. The Internet was a gamechanger for flag distributors after 9/11, she said. Flagandbanner.com makes and sells flags and banners, mostly custom corporate banners such as the ones seen at the Clinton Presidential Center, Main Street and the River Market. Most American flags are made by a well-established, multigenerational company, Roseland, N.J.-based Annin Flagmakers. Flagandbanner.com does, however, repair flags, such as the giant ones flying high over car dealerships and at large office buildings. Those cost about $5,000 each and last about only three months, McCoy said. “We keep cutting the ends off and cutting the ends off and repairing them, repairing them and repairing them … until they turn pink and purple or get caught in a really bad storm and ripped beyond repair,” she said. McCoy has a degree in fashion merchandising and enjoys sewing. She started the company at age 20 with door-to-door sales of flags, then added the sewing department, all in a North Little Rock location. McCoy’s initial investment was $400. She had other jobs, such as being a cocktail waitress for nine years, until the company made enough to pay the bills. She moved the company to a historical building at 800 W. Ninth St. in Little Rock in the early 1990s and now has about two dozen employees. Creating a presence on the Internet in 1995 did not go as smoothly as she had hoped. The company suffered another setback around 2012, when flagandbanner.com upgraded its old technology and Web presence. “I did it completely wrong,” she said. She blames the company she hired to do the work. She said she lost 18 years of search engine optimization, which meant flagandbanner. com lost its top spot on Internet search engines. Sales dropped $600,000 that year, she said. McCoy was paying more out to try to fix the problem, and the move nearly bankrupted the company. “My expenses went through the roof. My expenses went through the floor,” she added. It took two full years to recover financially. The group that gave Mc-Coy the Betsy Ross Award was formed by her and a handful of other flag dealers about 20 years ago as a collective voice with Annin and two other major U.S. flag manufacturers — Detra Flag Co. and Valley Forge Flags. Membership numbers ebb and rise, but it now has about 70 members, said President Kim Griebling of Custom Flag Co. Inc. of Westminster, Colo. The Betsy Ross Award is considered the most valuable player in the industry, she said. McCoy has four adult children, none of whom are expected to follow her in the business. Her oldest daughter went to work at the company, and it was a mistake, she said. Now momma McCoy and her husband have made an edict: None of the kids can work at flagandbanner.com until they’re 30 — regardless of the circumstances. “You have to let somebody else teach your kids how to be a good employee,” McCoy said.